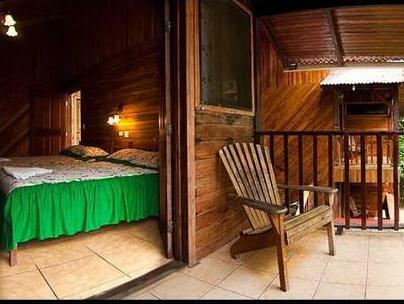 ﻿ Best Price on Hotel Perla Negra in Puerto Viejo de Talamanca + Reviews! Perla Negra Beach Front Accommodations features direct access to a beautiful beach located on the Caribbean Sea and offers included breakfast and an outdoor swimming pool. 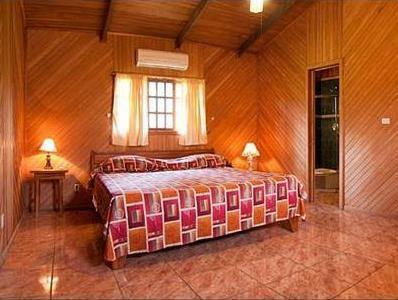 Each tropical-style room at this property comes with wooden décor, a fan and a private bathroom with a shower and toilet. The apartments come with a kitchenette and seating area. Some offer sea views. Guests can find a range of dining options in Puerto Viejo City Center, located just 0.9 mi away. The area also offers several bars. Gandoca-Manzanillo National Wildlife Refuge is just 12 mi away and offers a range of outdoor activities, including hiking and nature tours. The property can help guests arrange tours of the area. Limon International Airport is a 1-hour drive from the property.